Constantly challenging for victories, and consistency across the board produced one of the best seasons of Glenn Watson’s career as he was able to take home a pair of championships at year end. After a great year of competition for Sunset Speedway’s Fast Eddie Late Models, it’d be Glenn Watson taking home the Velocity 250 victory and division championship on Sunday evening. After a pair of 35-lap features, Sean Grosman picked up the overall Fast Eddie Super Late Model victory on Saturday night at Sunset Speedway. 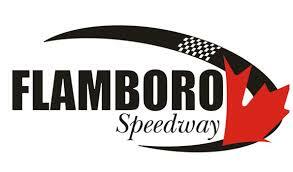 This past Saturday night at Sunset Speedway, a pair of drivers were able to pick up their first career super late model feature victories. Taking the lead just before halfway, Glenn Watson dominated the Fast Eddie Super Late Model feature on Saturday night at Sunset Speedway. After being crowned the Fast Eddie Super Late Model Champion last year at Sunset Speedway, Brandon Watson carried his winning ways into 2017 as he won the Spring Velocity 75-lapper.